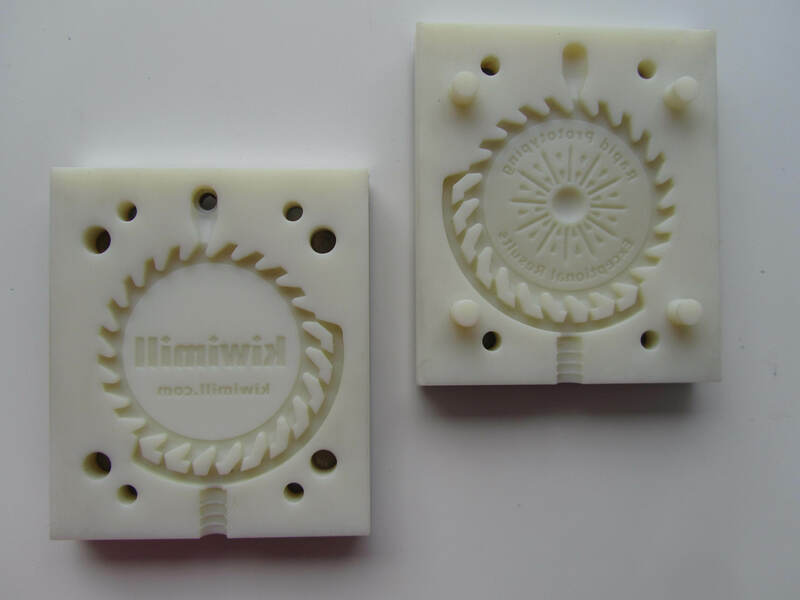 It’s been a couple of years now since KiwiMill started making 3D printed parts for our models. It took some experimentation to get this model making tool working for us, but we have settled into a nice rhythm in terms of its use. About 70% of our jobs now involve some degree of 3D printed parts. At the beginning of a project, our model makers decide what materials they will use to build each part of a custom model. Several factors are considered when deciding what pieces will be fabricated on the 3D printer. The complexity of the part, its use on the model, it’s size and how quickly it needs to be produced are some of the considerations. The 3D printer is an excellent choice for complex, intricate parts. Once the time is taken to draw up the part in CAD, the printer can effortlessly build a detailed object with great accuracy. Even when factoring in the time it takes to clean support material from a finely detailed piece, it’s often worth the prep work to get a final product that has all of the desired cosmetic effects intact. Depending on the over all model’s purpose, 3D printed parts may be too delicate for use in a project. They aren’t the best choice for moving parts, or places that need to endure a high degree of impact. 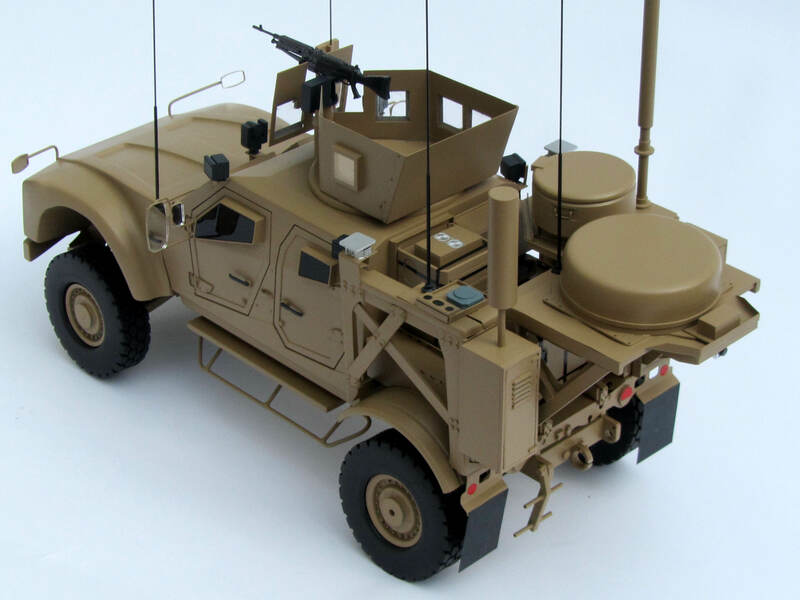 However, they may still work well alongside more durable materials such as ABS, metal and tooling board, adding detail to an over all sturdy model. Not that 3D printed parts can’t be strong. Large, solid parts, with less intricate detail, can be quite durable in nature. However, they are often cost prohibitive. 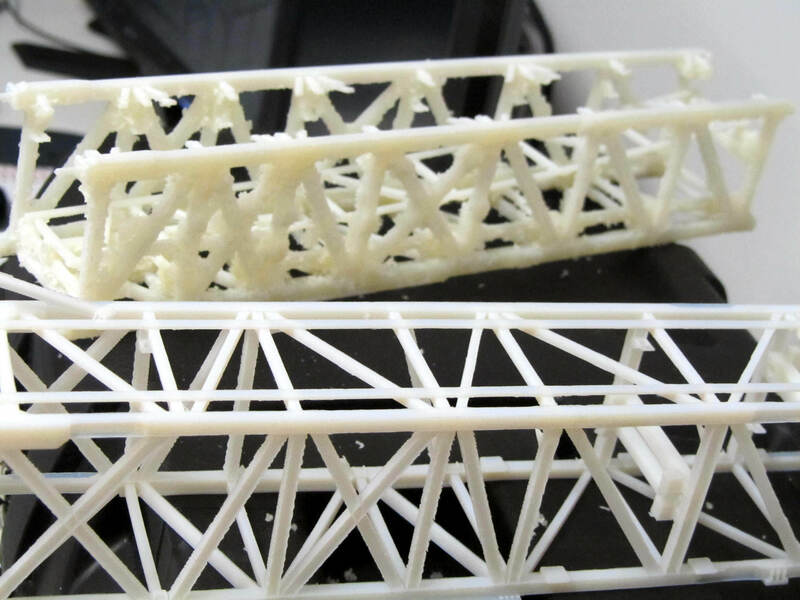 The resin used to create objects on the 3D printer, is relatively expensive material. It doesn’t make sense to 3D print large pieces that can otherwise be hand-built, CNC milled or routed out of another material. The exception to this would be if timing is a factor. If the item being fabricated can be drawn in CAD, printed, cleaned up and finished quicker than a hand build, it may be chosen in a situation where a deadline is looming. 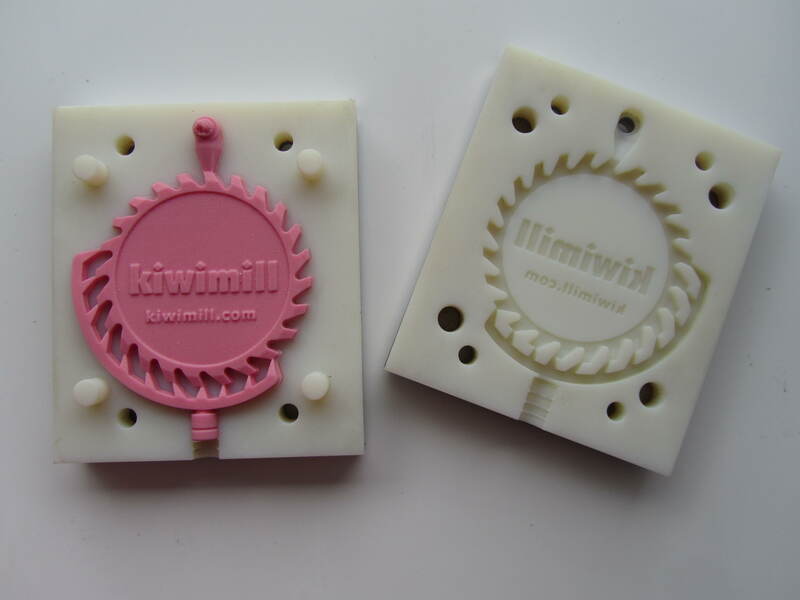 KiwiMill has yet to completely print a model. 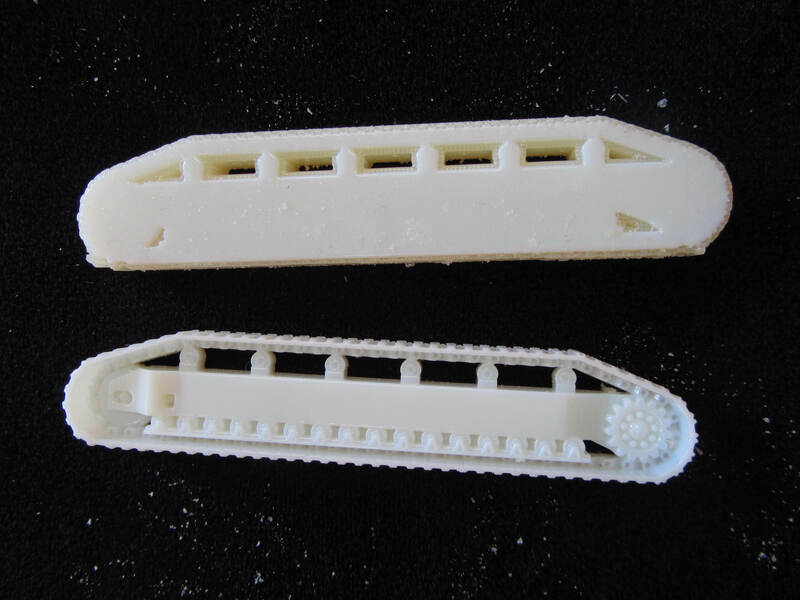 Even in cases where the final product was made up mostly of 3D printed parts, it still involved other materials and fasteners holding the various parts together. The 3D printer has not replaced a model maker, either, though we joked about that happening when it first arrived. It is simply another successful tool of the trade that we have fully integrated into our repertoire. 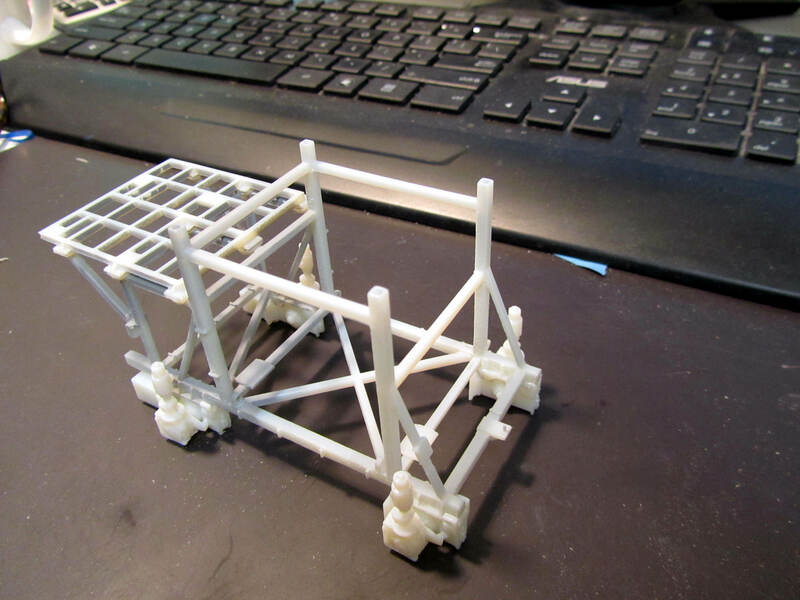 This industrial model of a Manifold Trailer for Forum Energy Technologies involved extensive use of our 3D printer. The result was stunning detail, accuracy, and with the addition of brass structure, great strength. KiwiMill model makers were very pleased with this attempt to create a model primarily of 3D printed parts that were then assembled into the finished product. 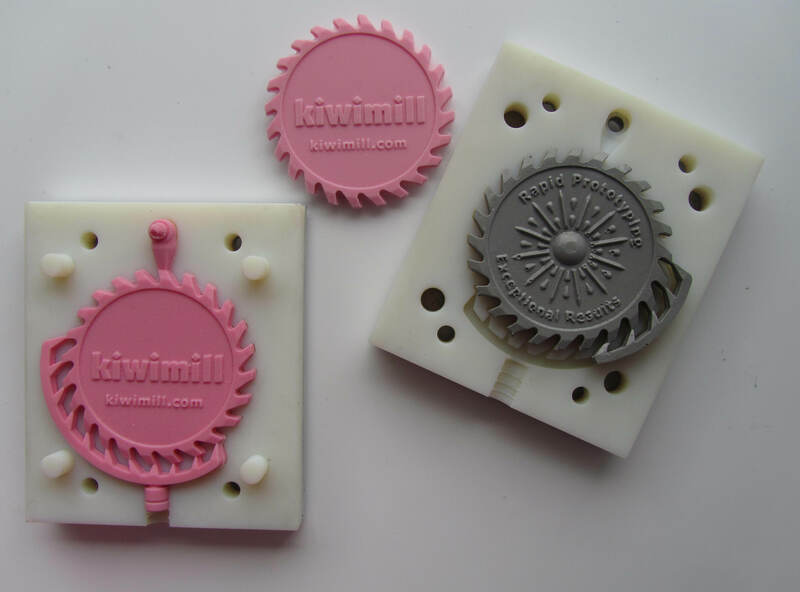 At KiwiMill we use 3D printed parts to make some of our models, depending on the design and purpose of the project. 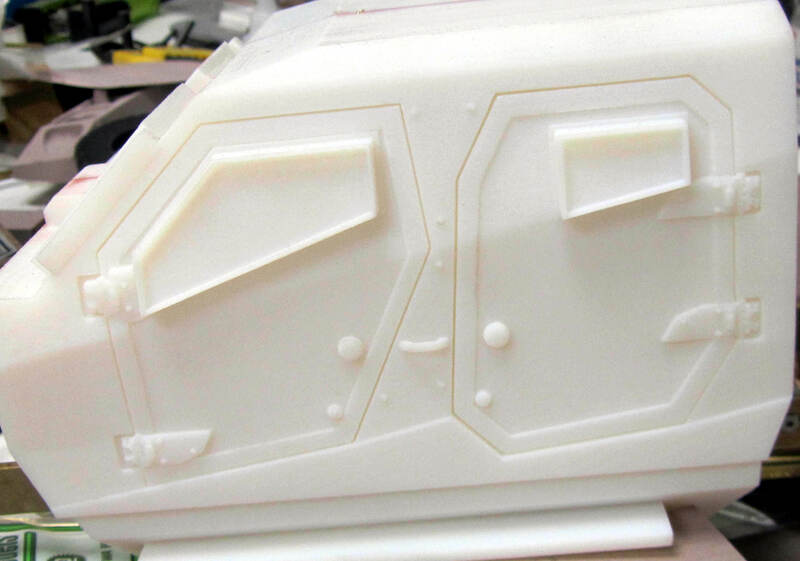 For a recently made MATV military vehicle, the doors were 3D printed out of plastic with handle, hinge and window details. The part was grown over night in the 3D printer, taken out and cleaned up. The part was then primed, painted and given additional details. 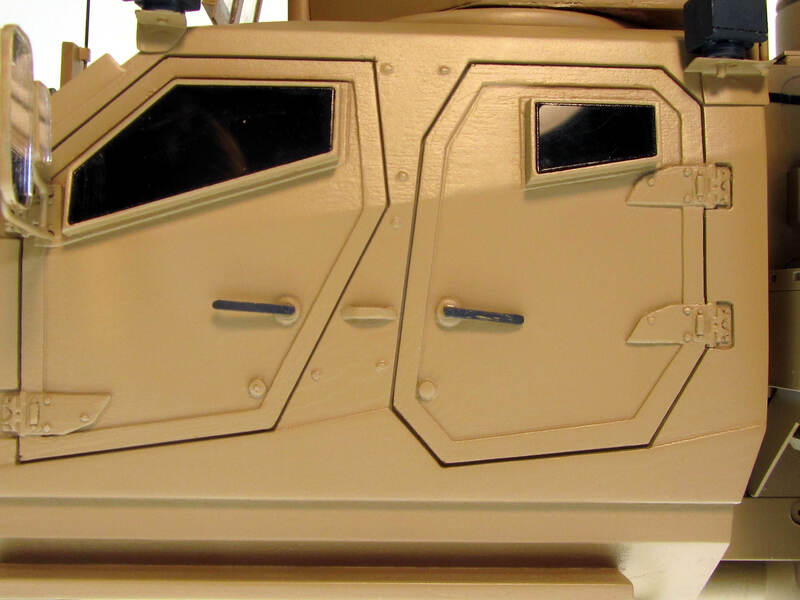 Here is the door on the completed MATV vehicle. The printed part blends in with all the other materials that were used to complete this model. Our model maker chose soldered and braised brass for most of the model for the strength and endurance necessary in a trade show piece. With the addition of 3D printer technology, new in-house model fabrication options are available to model makers. Decisions need to be made about what fabrication method is best for building each model part. What parts should be printed, molded, CNC milled/laser cut, or created by hand? The use of all available technologies in the correct circumstances makes for an efficient, bustling shop, and quality model production. That’s the goal. Not to replace craftsmanship with machines, or to unnecessarily complicate the model building process with flashy new equipment. Factors that need to be considered when determining fabrication method include; time, cost, accuracy of part, material being used, model type/usage,and the information available on the item being built. The time constraints of any given project are a major consideration when determining what fabrication method to use to create a model, or its parts. Deadlines are often very tight and sometimes the initial decision to bid on a project will be influenced by how quickly it is needed and whether or not available fabrication methods (and resources) will get the model done on time. An automated machine like a CNC mill or laser may actually take longer to produce a part than hand building, but will use up less human resources in the process. How much available time needs to be balanced with the number of model makers assigned to the project and the length of time each part will take to be made using a particular method of construction. Costs are often closely tied into time when determining what fabrication methods will be chosen. Time means money, and the amount of labour put into the job is a large part of any model price. Machines can make up for some of the costs in human labour, provided the money is there to buy and run the machine in the first place. Material costs for particular machines, such as the resin needed in a 3D printer, need to be taken into consideration as well. Model makers need to determine how accurate a part needs to be on the model when deciding fabrication methods. Computer-programmed machining is more consistent and precise than hand building a part. This may or may not be a consideration in a given project. Sometimes a model is an artistic representation of an object, and extreme fidelity to the original design is unnecessary and unwanted. The kind of material being used in the model will help drive the fabrication method. A 3D printer uses resin. A CNC mill can carve plastic, foam, steel, brass, wood or machinist board. 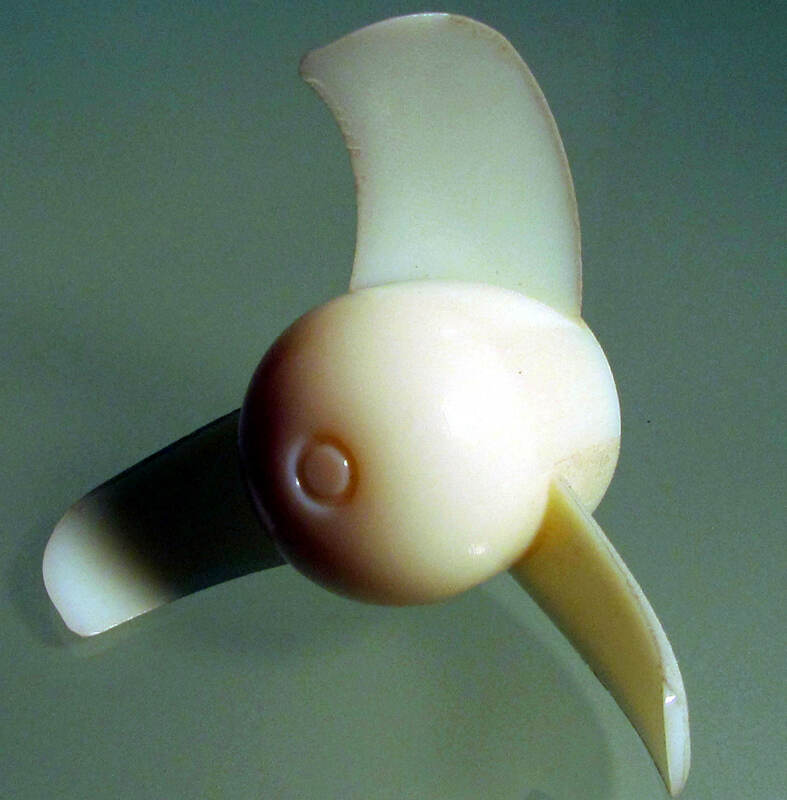 A hand-made part can be rendered out of just about any material available to the model maker. Usually the type of model determines the material being used, and is determined by the model maker, but occasionally the client will have a particular material request as well. The type of model needed is one of the overriding factors when deciding on fabrication methods. What shape, size and quantity the model will be, as well as its purpose – display, trade show, instruction, sales or prototyping – influence the type of material used to create the model, as well as fabrication choices. Depending on its shape, a model might be made through a subtractive method of taking away material such as a CNC mill, while other shapes are more suited for an additive method of “growing” a part on a 3D printer. A milled part on the CNC machine needs to be flat on the bottom, no shape can be created underneath the part. This is not a problem with the 3D printer. A completely flat part with an intricate design can be cut on a CNC laser. The over all scale, or size, of the model may rule out certain fabrication methods. Large parts need to be able to fit on the particular machine being utilized. The quantity of models required influences the construction. 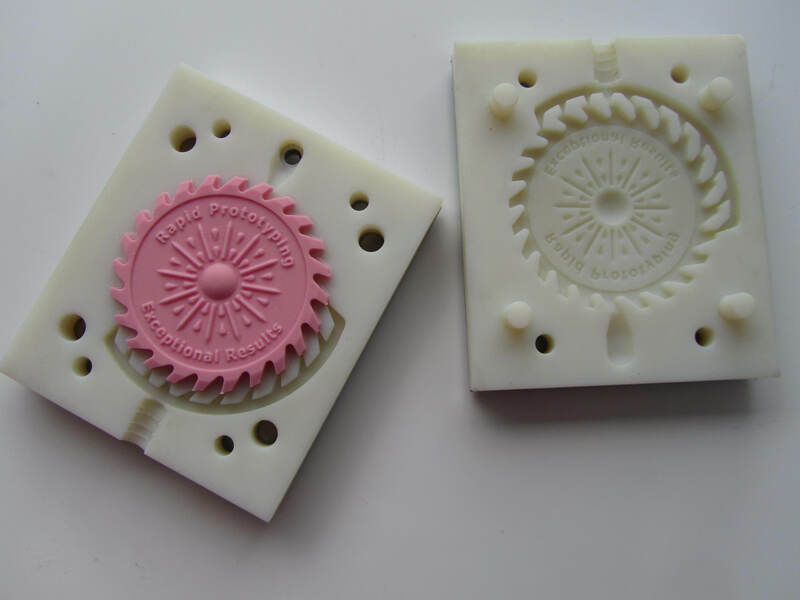 Multiple models of the same object can be well suited for mold making. 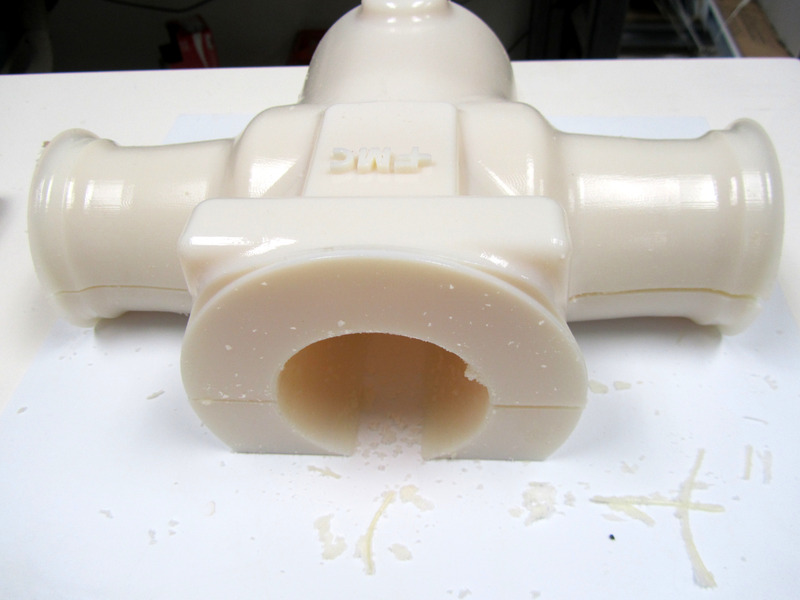 A master model part is made and molded, then multiples are cast from the mold. Automated (CNC) machines in general are helpful for multiples due to their consistency over a hand-built part. Intended model use will help establish what construction methods are used as well. If a model is going to be moved around frequently, such as trade show use, durability and strength become important factors. This will affect materials used, fabrication, and even assembly methods to ensure a model that will stand up to repeated transport and handling. While a display model permanently housed in a protective glass case can be made of more delicate materials and finer fabrication methods, such as hand-building. Finally, the information available to build the model will help ascertain the best fabrication method to use. 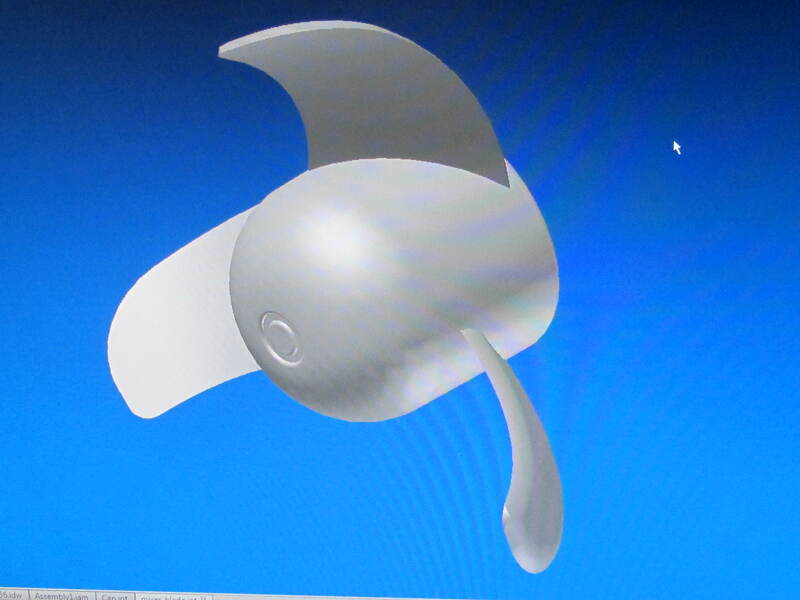 If 3D files are available of the item to be built, that will lend itself better to CNC or 3D printing processes. If the model maker has only a picture or photograph to go by, it will likely be more efficient to build the model by hand, using a well-trained eye, than to try to draw the parts first in a computer program. 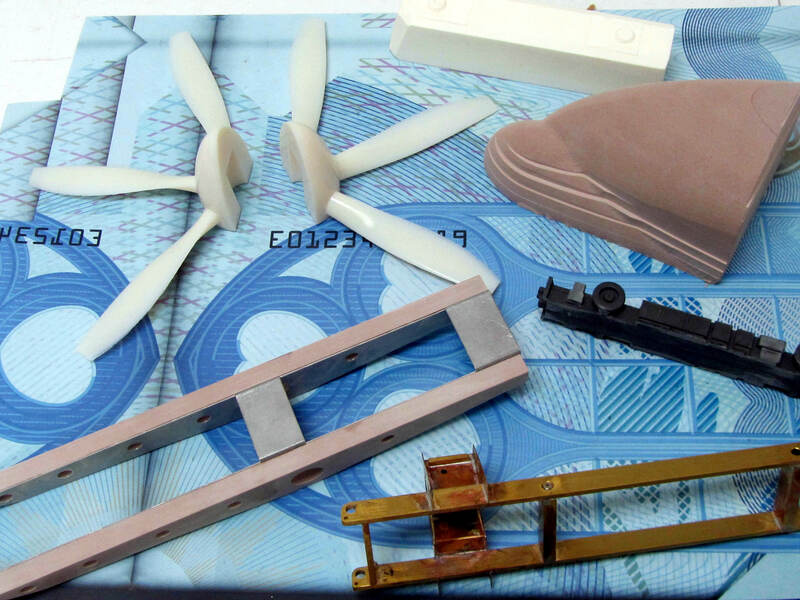 A well equipped model shop with a full complement of fabrication methods makes a model maker’s job more effective. Multiple factors are taken into consideration when determining which construction methods to use on any given project. Time constraints, costs, accuracy required, materials used, type of model, and information available about the item to be built all can influence this decision. Many of these factors are intertwined. Ultimately it is a model maker’s job to assess these options early on in the project and plan fabrication methods accordingly. We’re getting ready at the model shop for a new 3D printer. 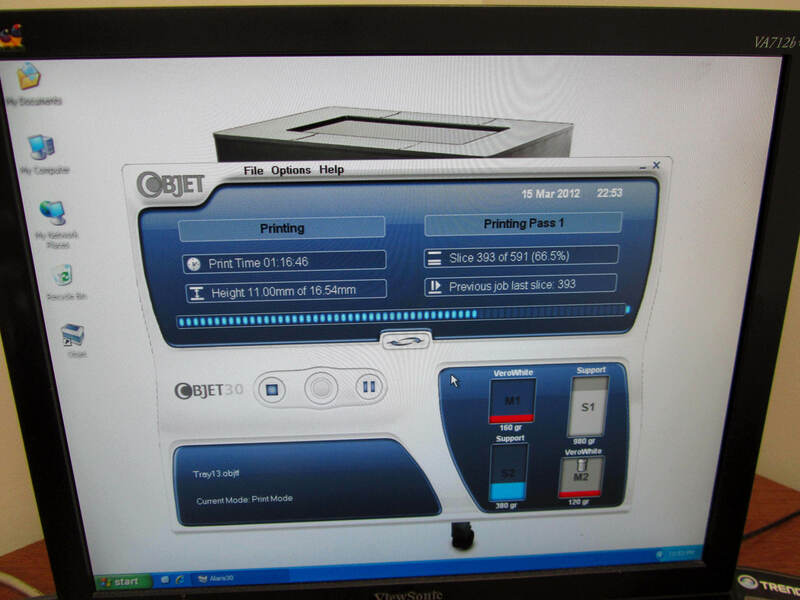 This machine will introduce additive processes for model making designed to increase flexibility and productivity. Model making has traditionally been associated with a subtractive method of fabrication. Meaning, model parts are formed by taking something away from a material through carving, sculpting, cutting, sanding or chopping. These extracted parts are then glued together to form the whole model. Additive methods of model fabrication do the opposite. Instead of sculpting a model out of material by taking away, an object is built up layer by layer. This additive process creates a 3D object from seemingly nothing. 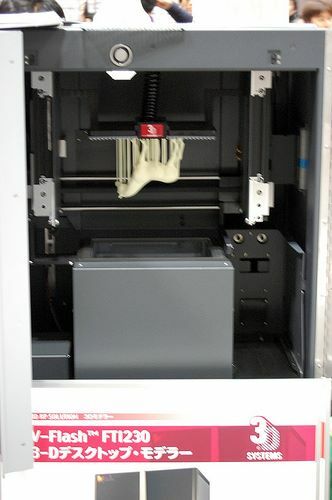 A computer image of the desired part is programmed into the 3D printer. The machine then creates a solid object by adding successive layers of material in the desired shape and form. The additive method is fast and efficient, vastly reducing the amount of hand’s on work needed to create a model part. The subtractive method can be sped up as well with the addition of computer numerically controlled (CNC) machines, making rote shaping and carving tasks more autonomous. These technological advancements are welcome additions to the model making shop. They cannot replace craftsmanship, experience and artistry. They’re meant to enhance the fabrication process, freeing up our model makers to put their energy and talents toward more essential and complex tasks.